That I totally stink at blogging?! NO! I would love to start where I left off and catch all of you up but I would be typing for days! So I will just start with this month so far and then hopefully resume regular posting form there. But lets be honest, I really doubt that will happen. ha! July has been a great month so far, going by far too fast but its been lots of fun. We had a fun but lazy 4th of July. We decided to stay at home to swim and grill and then we went to watch a fireworks display in a nearby town. The kids loved it although Zoey stayed hidden under her blanket for the majority of the show. She decided to come out once she though that the fireworks were pink and purple sparkles. Love my little girly girl!! Dax was off on Thursday as well and we decided to take the kids to the local water park that is about 5 minutes from our house. They absolutely LOVED it. I can't even begin to count how many times they each asked to go back. To be honest I really want to go back too! I am thinking next summer we will need to buy season passes! Saturday consisted of getting ready for our garage sale we are having with one of my really good friends this weekend. We go rid of sooo much stuff. I hope it all sells so I don't have to figure out what to do with it all! The kids play room looks so sad, I got rid of almost every toy in there. But I decided if they didn't play with it there is NO point in keeping it. Sunday I had a Thirty-One party at a friends house and had so much fun getting to see her and her family! 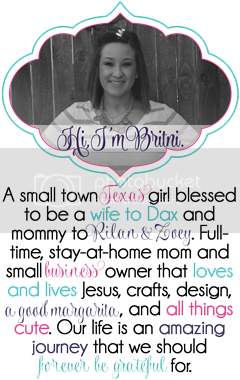 Speaking of Thirty-One I have been having so much fun with it and am currently a Senior Consultant, hopefully soon to be a DIRECTOR! I can't believe how much of a blessing this company has been to me. I guess that is all for now.